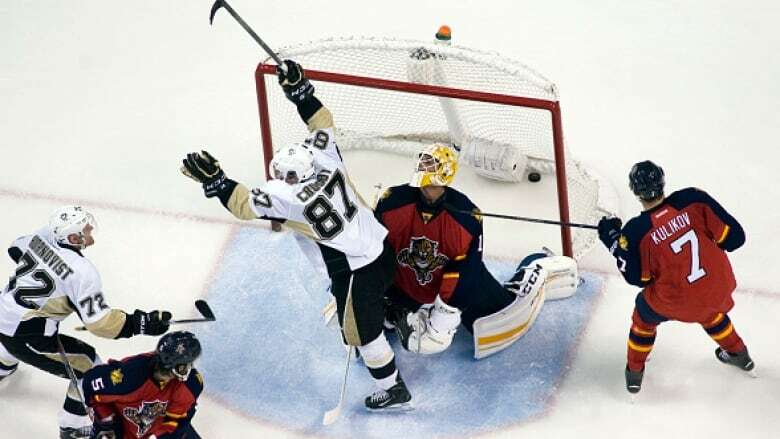 Sidney Crosby put his talent on full display for his 900th, 901st and 902nd career NHL points to fuel a 3-2 OT comeback victory over the Florida Panthers on Saturday night in a matter of minutes. There was a lot of doubt surrounding Pittsburgh Penguins captain Sidney Crosby at the start of the 2015-16 campaign, but the 28-year-old is quietly proving his detractors wrong as the season rolls along. Crosby put his talent on full display for his 900th, 901st and 902nd career NHL points in a matter of minutes to fuel a 3-2 overtime comeback victory over the Florida Panthers Saturday night. It's certainly a memorable way to welcome a milestone, as he assisted on Kris Letang's goal to open a flurry of scoring for the Penguins in the closing 5:04 of the final frame. It took Crosby 677 games to achieve the feat and he joined some very exclusive company as only 10 other players managed to do it faster. No. 87 didn't rest with his 900th point, adding the game-tying goal with 1:15 left in the third period. He assisted on Letang's overtime power play goal to help steal two points for Pittsburgh. To say the least, Crosby's numbers were disappointing through October and most of November, tallying only two goals and nine points through his opening 18 matches. However, there is no question that the centre has returned to form recently. His three-point milestone match extended his point streak (nine goals, 16 points) to 10 games, which ties Crosby for the third longest streak of 2015-16. He has 22 goals and 49 points in 50 games this season and that puts him in the top-10 in the NHL points race.